Quantitative genetics and animal evaluation. Reynolds, E.; Couldrey, C.; Keehan, M.; Tiplady, K.; Johnson, T.; Garrick, D.; Littlejohn, M.
Burborough, K.; Spelman, R.; Snell, R.; Littlejohn, M.
Harland, C.; Durkin, K.; Artesi, M.; Karim, L.; Cambisano, M.;Deckers, M.; Tamma, N.; Mullaart, E.; Coppieters, W.; Charlier, C.; Georges, M.
Harris, B.L. ; Sherlock, R.G. ; Couldrey, C.; Keeham, M.D. ; Tiplady, K.M. Lopdell, T.; Tiplady, K.; Littlejohn, M.
Couldrey, C.; Johnson, T.; Lopdell, T.; Zhang, I.L. ; Littlejohn, M.D. ; Keehan, M.; Sherlock, R.G. ; Tiplady, K.; Scott, A.; Davis, S.R. ; Spelman, R.J.
Lopdell, T.; Tiplady, K.; Struchalin, M.; Davis, S.R. ; Snell, R.; Spelman, R.J.; Littlejohn, M.
Fink, T.; Tiplady, K.; Lopdell, T.; Snell, R.G. ; Spelman, R.J.; Davis, S.R. ; Littlejohn, M.D. Davis, S.R. ; Spelman, R.J.; Littlejohn, M.D. Couldrey, C.; Keehan, M.; Johnson, T.; Tiplady, K.; Winkelman, A.; Thresher, C.; Littlejohn, M.D. ; Scott, A.; Kemper, K.; Hayes, B.; Davis, S.R. ; Spelman, R.J.
Zhang, I.L. ; Couldrey, C.; Sherlock, R.
Littlejohn, M.; Tiplady, K.; Fink, T.A. ; Lehnert, K.; Lopdell, T.; Johnson, T.; Couldrey, C.; Keehan, M.; Sherlock, R.G. ; Harland, C.; Scott, A.; Snell, R.; Davis, S.R. ; Spelman, R.J.
Charlier, C.; Li, W.; Harland, C.; Littlejohn, M.; Coppieters, W.; Creagh, F.; Davis, S.; Druet, T.; Faux, P.; Guillaume, F.; Karim, L.; Keehan, M.; Kadri, N.K. ; Tamma, N.; Spelman, R.J.; Georges, M.
Couldrey, C.; Keehan, M.; Johnson, T.; Tiplady, K.; Winkelman, A.; Littlejohn, M.D. ; Scott, A.; Kemper, K.; Hayes, B.; Davis, S.R. ; Spelman, R.J.
Kadri, N.K. ; Harland, C.; Faux, P.; Cambisano, N.; Karim, L.; Coppieters, W.; Fritz, S.; Mullaart, E.; Baurain, D.; Boichard, D.; Spelman, R.J.; Charlier, C.; Georges, M.; Druet, T.
Doherty, R.; Whiston, R.; Cormican, P.; Couldrey, C.; Brady, C.; O'Farrelly, C.; Meade, K.G. GENE DISCOVERY, GENOMICS AND DAIRY CATTLE IMPROVEMENT, 2015. 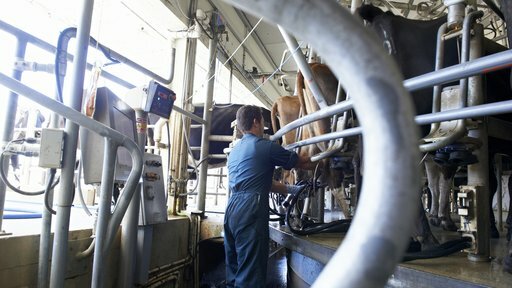 SUSPENSION OF MILKING IN DAIRY COWS PRODUCES A TRANSIENT INCREASE IN MILK LACTOFERRIN CONCENTRATION AND YIELD AFTER RESUMPTION OF MILKING 2015. LACTATION TRAITS ASSOCIATED WITH SHORT AND LONG TERM ONCE-DAILY MILKING PERFORMANCE IN NEW ZEALAND CROSSBRED DAIRY CATTLE, 2015. 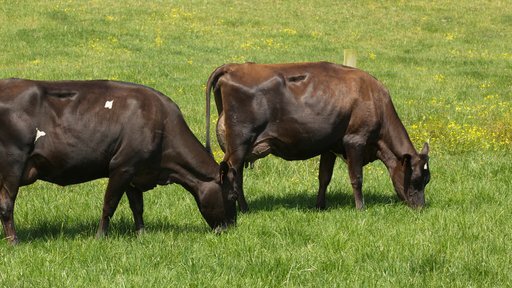 APPLICATION OF GENOMIC EVALUATION TO DAIRY CATTLE IN NEW ZEALAND, 2015. Littlejohn, M.; Henty, K.; Tiplady, K.; Johnson, T.; Harland, C.; Lopdell, T.; Sherlock, R.; Li, W.; Lukefahr, S.D. ; Shanks, B.C. ; Garrick, D.J. ; Snell, R.G. ; Spelman, R.J.; Davis, S.R. ; Snell, R. 2014. Hayr, Melanie Kate. Ames: Iowa State University, 2014. Littlejohn, M.; Tiplady, K.; Lopdell, T.; Law, T.A. ; Scott, A.; Harland, C.; Sherlock, R.; Henty, K.; Obolonkin, V.; Lehnert, K.; MacGibbin, A.; Spelman, R.J.; Davis, S.R. ; Snell, R. 2014. Gudex, B.; Johnson, D.L. ; Gondro, C.; Singh, K. 2014. Obolonkin, V.; Zherelo, A.; Krylov, G.; Jorgensen, M.; Spelman, R.J. 2014. Gudex, B.; Johnson, D.L. ; Singh, K. 2014. Karim, L.; Takeda, H.; Druet, T.; Arias, J.A.C. ; Baurain, D.; Cambisano, N.; Davis, S.R. ; Farnir, F.; Grisart, B.; Harris, B.L. ; Keehan, M.D. ; Littlejohn, M.D. ; Spelman, R.J.; Georges, M.; Coppieters, W. 2011. Yang, D.; McMillan, G.; Standley, N.; Xu, Z.
Johnson, T.; Eketone, K.; McNaughton, L.; Tiplady, K.; Voogt, J.; Sherlock, R.; Anderson, G.; Keehan, M.; Davis, S.R. ; Spelman, R.J.; Chin, D.; Couldrey, C.
Gardner, R.R. ; Back, P.J. ; Lopez-Villalobos, N.; McNaughton, L.R. Hemming, N.V.; McNaughton, L.; Couldrey, C.
Handcock, R.C. ; Lopdell, T.J.; McNaughton, L.R. MACHINE LEARNING ALGORITHMS FOR THE PREDICTION OF CONCEPTION SUCCESS TO A GIVEN INSEMINATION IN LACTATING DAIRY COWS 2015. Standley, N.; Yang, D. 2014. Lembeye, F.; Lopez-Villalobos, N.; Burke, J.L. ; Davis, S.R. Sneddon, N.W. ; Lopez-Villalobos, N.; Davis, S.R. ; Hickson, R.E. ; Shalloo, L.; Garrick, D.J. PHENOTYPE POPULATION SCREEN IDENTIFIES A NEW MUTATION IN BOVINE DGAT1 RESPONSIBLE FOR UNSATURATED MILK FAT. 2015. ESTIMATION OF BREED AND HETEROSIS EFFECTS FOR MILK TRAITS AND SOMATIC CELL SCORES IN COWS MILKED ONCE AND TWICE DAILY IN NEW ZEALAND, 2015. 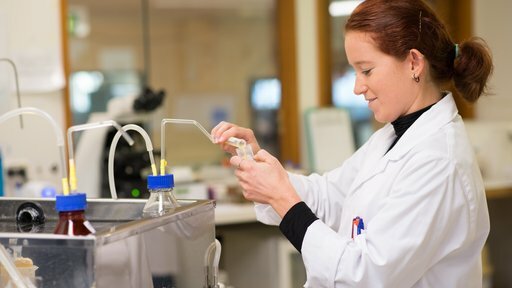 METABOLITE PROFILING IN NEW ZEALAND MILK 2015. GENETIC PARAMETERS FOR MILK COMPONENTS INCLUDING LACTOSE FROM TEST DAY RECORDS IN THE NEW ZEALAND DAIRY HERD. 2015. Handcock, R.C. ; Lopez-Villalobos, N.; McNaughton, L.R. ; Edwards, G.R. ;Hickson, R.E. Handcock, R.C. ; Lopez-Villalobos, N.; McNaughton, L.R. ; Edwards, G.R. ; Hickson, R.E. Meier, S.; Fisher, B.; Eketone, K.; McNaughton, L.R. ; Amer, P.R. ; Beatson, P.; Bryant, J.R.; Dodds, K.G. ; Spelman, R.J.; Roche, J.R.; Burke, C.R.